Dice Bags, Pencil Bags, etc. Thoughts on 2015 – It’s been a tough year, no lie. A lot of IRL challenges meant I spent a lot of time off instead of making art and that sent me into a spiral of depression that was hard to escape (I’m still not completely out of it). When I was finally able to get back to creating art, I had to drag it out of myself. On the upside, I completed The Rapunzel comic, which has been in the making for years! I also finished the IP Development Mentorship with Robot Pencil and laid the seeds to a fantasy story I’ve been working on for over 10 years now and that’s something I’m majorly proud of! My best piece this year was probably Blood of the Few. I really pushed myself to strive for something different and cinematic! This piece plus all the other work I did for the mentorship was yet another step in the direction of a personal project (Song of Exile) that I really want to push forward with in a major way in the near future. Next Year – I’ve decided to do more writing and have planned to split my schedule between wrapping up some of my ongoing art projects so I can dedicate myself fully to Song of Exile. If there’s anything I’ve learned from our trials this year, it’s that life’s too short to wait on doing those things you’ve always wanted to do! 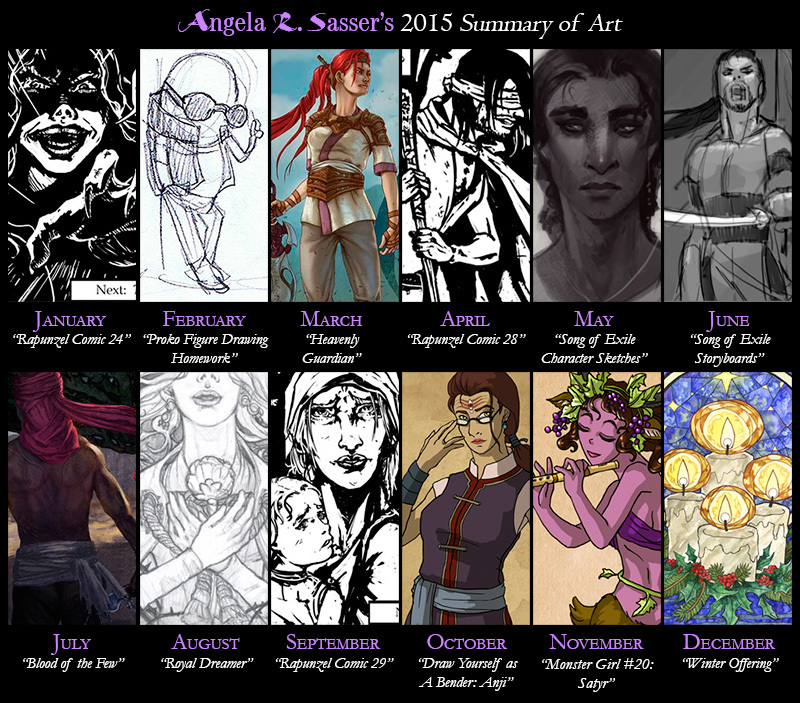 For an expanded look back of my progress as an artist, check my other art progression meme. It has my art since the age of 9! This new year has me feeling very introspective of late. There are 11 more months ahead of us and I have been thinking how I really want to make this year count towards making an improvement in my life and my art. I’ve already mentioned a possible career shift, and this has moved me into vastly unfamiliar territory where I can no longer just ‘get by’ doing what I’m doing at my current skill level. A veil of soft, plushy dream blanket has been torn away to reveal the cold, hard facts I need to realize about myself and my work. If I want to compete in a competitive business like concept art/licensing/whatever art job I might want in the future, I’m going to have to be able to compete with people who are already in the business. I’m going to have to sit and take a look at my own work and honestly ask myself the question “Are you as good as them?”. I’m going to have to be the one to face up to the weaknesses in my work and make myself do what it takes to improve. I am no longer a child nor am I a student in a classroom. I am an adult, an independent, self-employed artist and nobody else in the world is going to make me sit and study and do the work it takes to improve except little ‘ol me. It’s so easy to get trapped in what’s comfortable. So easy to say “yeah I’m just not good at that”. But that is not how an artist becomes better (and it’s not how you get an art job either). There are too many people out there who have great skill and passion. If you have even less passion, what makes you think you’ll be picked over that passionate person? Maybe you will, but I prefer to hedge my bets with a little more than a ‘maybe’. These thoughts have equaled a downturn in productivity for more than a few months now, but I feel like I’m finally finding my balance again. I’ve started doing a few studies a night now or taking time to just sit and collect inspirational references and think about what they can teach me about my work. While the studies I’m doing right now aren’t masterpieces by any stretch of the imagination, they’re helping to build the visual vocabulary I have been lacking for whatever reason. I’m also finding the lack of a particular strength is no longer my focus (and downfall), but rather filling that lack. It took a lot of brow beating to get to this point, but obsessing over what exactly was lacking for too long put me in a downturn that I almost couldn’t dig out of. 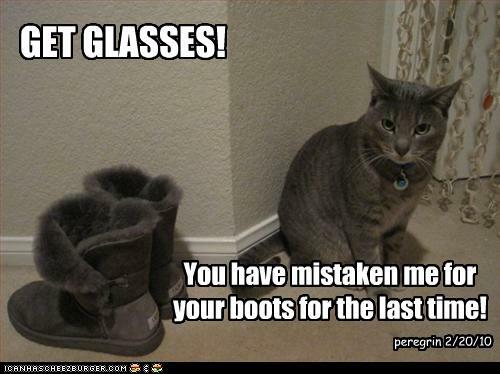 It’s time to fess up. 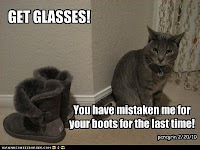 Time to put my kicking boots on! And on that note, I did a MEME. I’m considering this my visual ‘strategic plan’ for what exact actions I want to take to become a better artist this year. I may not get it all done this year, but at least I’m finally starting the process, and that is sometimes the most difficult part of improving! If you’d like to take the Artist’s Oath to Improve with me, you can download the blank template here! I hope my triumphs and failures help somebody out there. I hope I have the energy to keep going! But I know it’s all going to pay off if I can keep this ball rolling. Like my art? 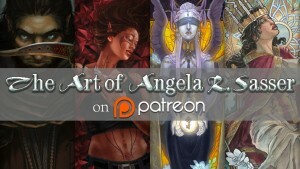 Join my artistic journey and pledge today on Patreon for exclusive rewards OR buy me a coffee with Ko-fi to show your support! Get a FREE download of the Oathbound tutorial when you sign up for my mailing list!